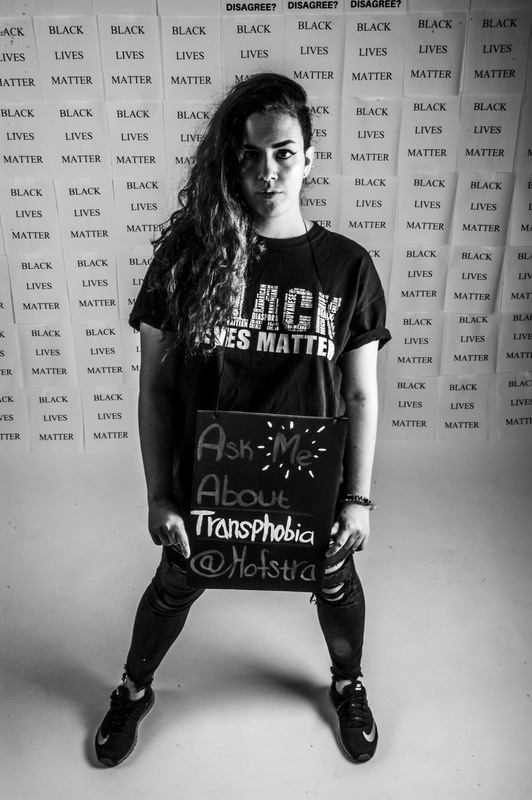 Student activist, Anna Kyriazakou, cites transphobia as an issue and wants students to ask about it. 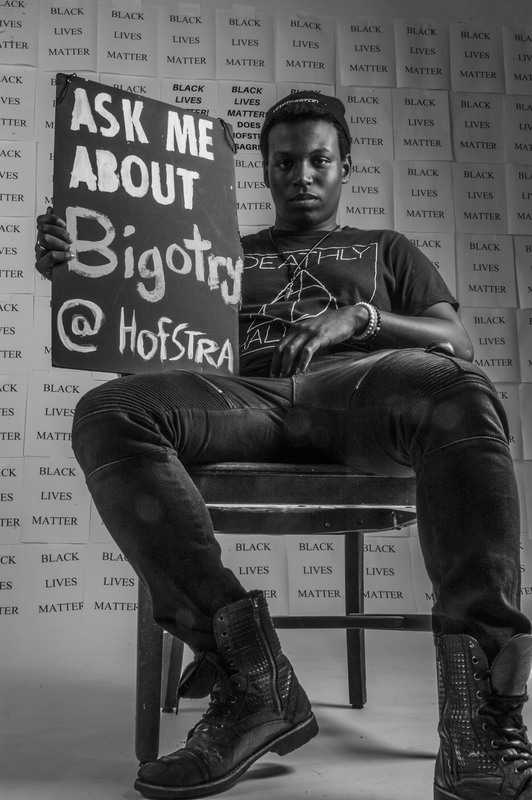 Bigotry is another issue that Wesley Louis-Charles says students could face at Hofstra. 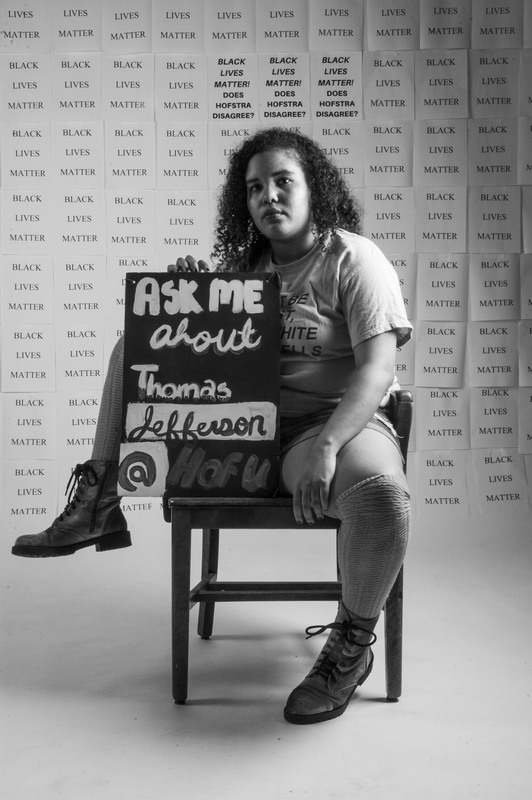 Michelle Boo holds a sign as a reminder that these students still object to the statue’s placement.